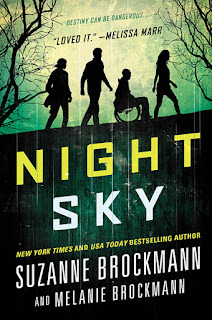 Night Sky by Suzanne Brockmann and Melanie Brockmann: Excerpt and Giveaway! I suspected that I looked worried because I was worried. And I did totally get that being a G-T made me insanely special. But despite Dana’s hasty reassurances night, I was still worried that being a G-T would also make me insane. 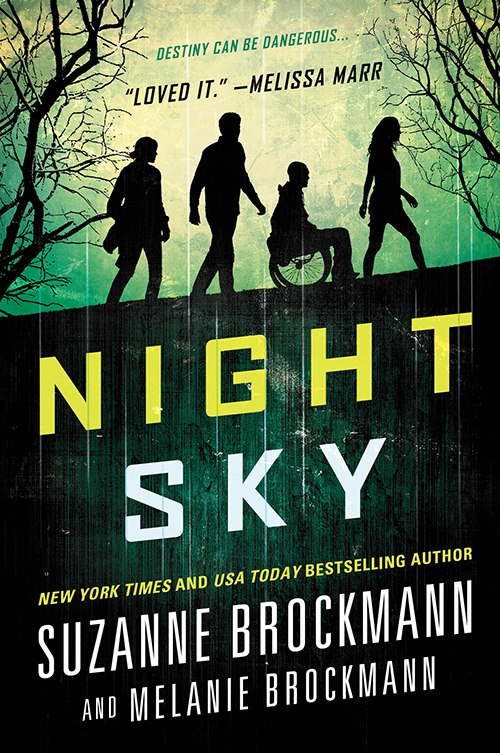 But I knew with a certainty that I couldn’t quite explain that Dana was neither heartless nor cruel. She was rough and tough, and she had no patience for BS, but she wasn’t anything like the monstrous descriptions of G-Ts that I’d found on the Internet. I stared back at her. “Maybe…?” I said. She nodded, her conviction absolute. “Not panicking,” I said, pointing to myself. Dana looked out at the water. Her eyes were glazed and unfocused. She looked profoundly sad.